With over 3 decades of experience, Saffron Investigations is South Florida’s trusted choice for private investigation, and we are proud to lend our expertise to individuals and businesses throughout Wellington and the surrounding areas. 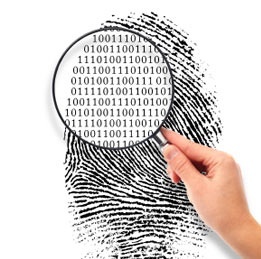 From domestic investigations and computer forensics to employee background checks fraud investigations, our private detectives have extensive experience with all types of private investigations and their specific legal requirements. In fact, our seasoned team of private investigators are well renowned industry professionals, and they are committed to working with you to understand your goals and develop an investigative strategy that addresses your needs. Whether you need evidence to present in court or want proof to back up your suspicions, you can depend on our private investigators to help. Personal or professional, whatever service brings you to us, you can be assured that our private detectives and experienced fraud investigators will handle your case quickly and confidentially. There are a few things to consider before you select a team of private investigators to handle your Wellington private investigation. Many agencies may offer private detective services, however few have the hands on experience, technology and knowledge that you will find at Saffron Investigations. We have extensive knowledge of the Wellington community and surrounding area, enabling us to quickly follow up on leads, collect evidence and set up surveillance. From The Mall at Wellington Green to Binks Forest Golf Club, Wellington Marketplace to the Palm Beach Polo and County Club, our seasoned team of private detectives can handle investigations quickly and with complete discretion anywhere in the Wellington area. So whether it’s a child custody investigation near the Wellington Amphitheater or an insurance investigation near Wellington Regional Medical Center, you can be confident in our ability to meet your Wellington private investigator needs — whatever they may be.